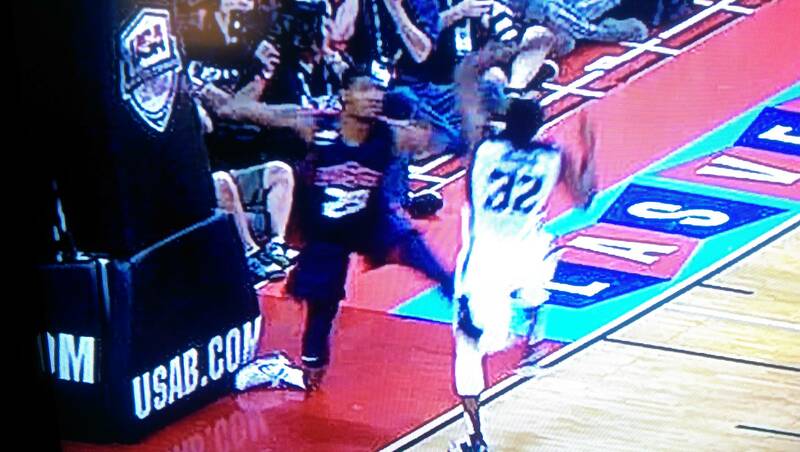 Paul George’s tibia fracture shows us a very rare, but devastating basketball injury. While I’m sure few people were actually watching the USA Basketball intrasquad scrimmage game live last week, many of you undoubtedly have now seen the horrific video footage of Indiana Pacers forward Paul George jam his foot into the base of the backboard stanchion, causing his tibia, or lower leg bone to snap and bend at a 90 degree angle. Paul sustained an open (also called compound) fracture of both his tibia and his fibula, and had emergent surgery to fix this. An open fracture means the bones penetrated the skin, and were exposed to the outside air. This increases the risk of infection, compared to a closed fracture. 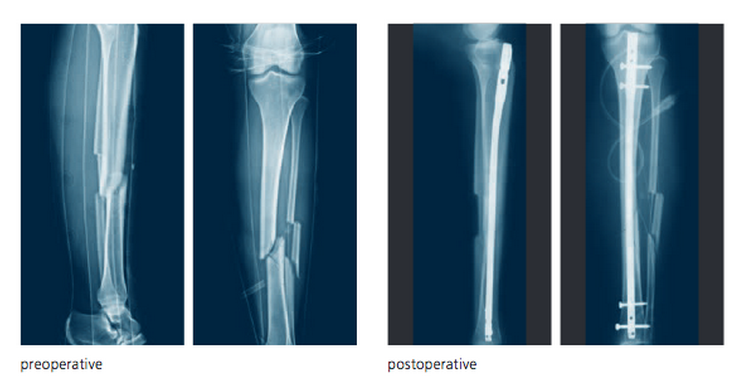 His surgery included cleaning the leg wounds, and then his surgeon inserted a titanium rod into the tibia. The tibia is a very strong bone, but only the outside of the bone is strong; the inside of our bones, where the marrow is, is actually quite soft. Therefore, his surgeon made an incision just below the knee, made a small hole in the bone at the top of the tibia, and inserted a rod about the size of your little finger, the whole length of the tibia. To further stabilize the fracture, he probably also inserted additional screws above and below the break, right through the bone and the rod. While this is a relatively rare injury, many of you will also recall Louisville Cardinal Basketball star Kevin Ware’s almost identical injury last April, during the NCAA March madness Midwest Regional Final. 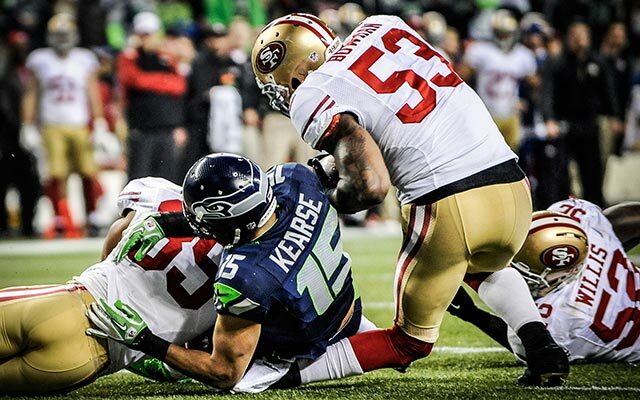 The gruesomeness of the images leads one to believe that these must be career-ending injuries. Fortunately, that is not usually the case. Without other complications, these fractures can heal solidly in four to six months. Of course, it takes much longer to complete the rehabilitation, with recovery of his range of motion, and strength. While Paul George will certainly miss the 2014-2015 basketball season, hopefully we will be able to return to a very high level of play. In fact, many feel that a tibia fracture is potentially less devastating to an athlete’s career than a ligament injury, such as an Anterior Cruciate Ligament (ACL) or Posterior Cruciate Ligament (PCL) tear. Soft tissue injuries can take much longer to heal than fractures, and frequently do not produce a perfect recovery, with ongoing instability of the knee. Outliers like Adrian Peterson not withstanding, it usually takes two years for an athlete to recover from a major ligament injury, if at at all.